NSFW this time, so don't listen to this one around the kiddos. Don't don't blame us. 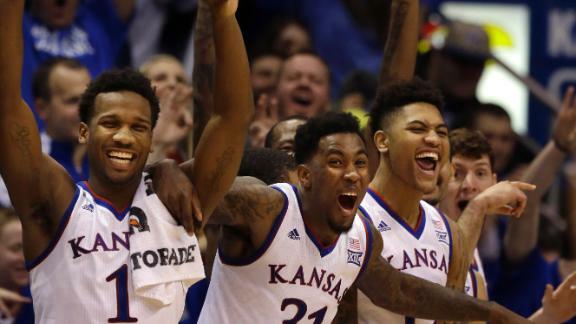 Blame awesome KU rap songs that we can't get enough of. In this episode, the guys talk Baylor/Tech and preview OSU/ISU. They also talk RedHead's "Frank Mason" because it's the best song we've heard in at least a week. There's also talk on Carlton Bragg, Devonte' returning, Christian scoring, and Beaty filling out a staff.